Amethyst & diamond cluster earrings. Product code: ES564 Categories: Sold Items, Sold Jewellery. 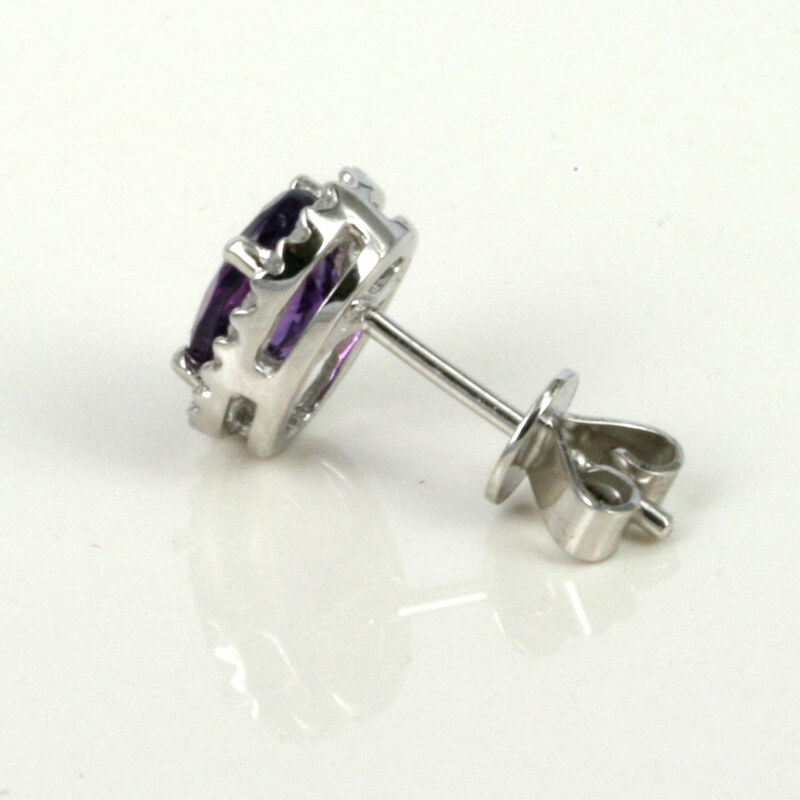 Perfect for day or night are these amethyst and diamond cluster earrings made in 9ct white gold. With each amethyst surrounded by 22 diamonds, the amethysts total 1.65 carats and are a vivid purple that really looks sensational. With post and butterfly fittings, these are the style of earrings for any occasion, day or night.